It’s hard to maintain your profits when you’re busy maintaining inventory. Time spent away from the register inconveniences customers and can result in lost revenue. Keeping clerks behind the register while maintaining a variety of products stocked in the cooler can be a challenge. 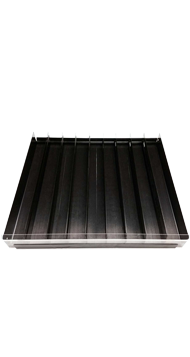 B-O-F gravity flow shelving maximizes product mix and facings, increases pack-out, and decreases stocking time by up to 33%. Displaying a wide assortment of specialty sizes and flavors is a piece of cake with B-O-F gravity flow shelving. Maximize your profits while staying on top of ever changing consumer tastes. With craft beers continuing to expand, offering a range of products is vital. 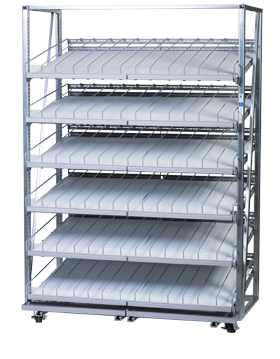 B-O-F gravity flow shelving gives you the ability to maximize profits while meeting your consumers demands. Messy spills and spoiled products lead to unhappy customers. The Milk Moover® reduces stocking time, hides spills and makes clean up a snap. Other dairy solutions are also available. 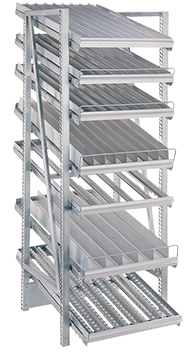 Gravity flow shelving can maximize product facings and decrease your stocking time! Let’s discuss optimizing your product shelving today.